Welcome to my PSD to HTML5 hourlie ..!! In this hourlie i will convert your PSD/AI/XD/PDF/IMAGE to responsive HTML5,CSS3 using Bootstrap 3/4 and JS incl. Please contact me before buying this hourlie. 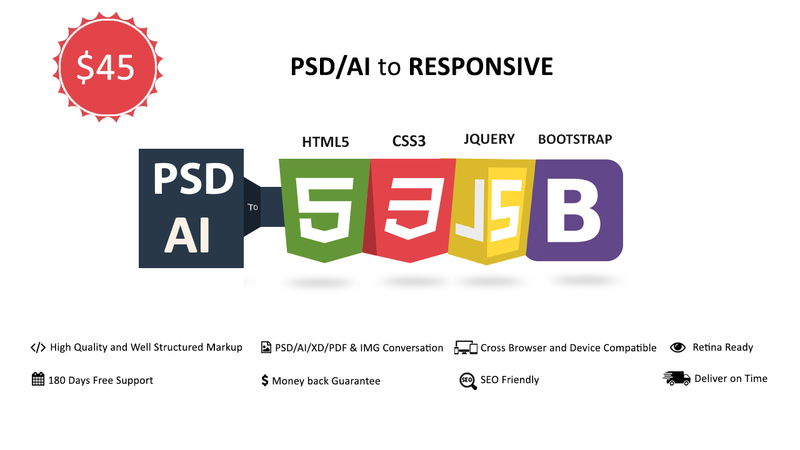 This hourly is for very simple psd to html service. If this complex then I will charge more at the time of invoicing. So please show me your design preview or refernce links before purchasing this hourlie. 1. PSD, PNG, AI, XD , refernce links or any other layered source file. 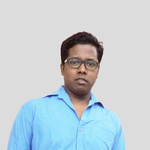 I am a Web UI/UX Designer and Front End Developer based in Odisha, India. I am expert in BOOTSTRAP, HTML, CSS, PSD TO HTML,LOGO DESIGN,POSTER DESIGN etc. Take a look at some of my works,...Read moreI am a Web UI/UX Designer and Front End Developer based in Odisha, India. I am expert in BOOTSTRAP, HTML, CSS, PSD TO HTML,LOGO DESIGN,POSTER DESIGN etc. Take a look at some of my works, and if you like them, feel free to contact me. Let’s create something WOW!